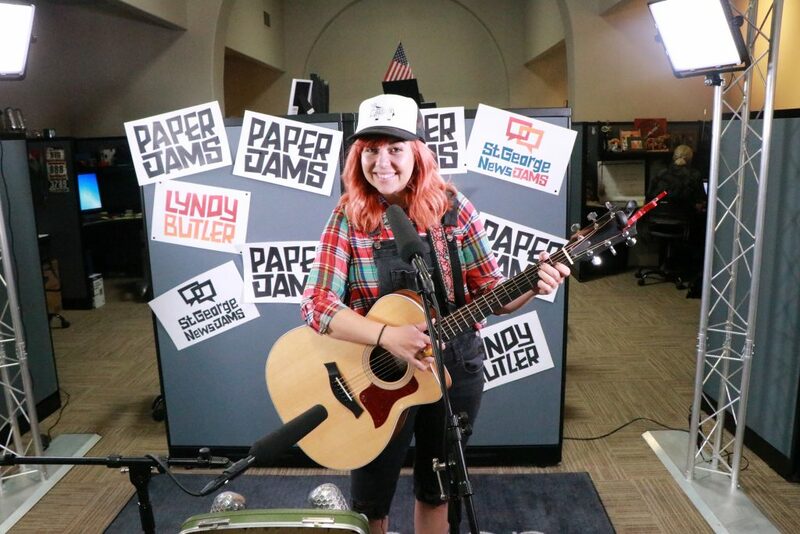 FEATURE — Singer-songwriter Lyndy Butler recently stopped by the Canyon Media offices to perform a few of her favorite songs. 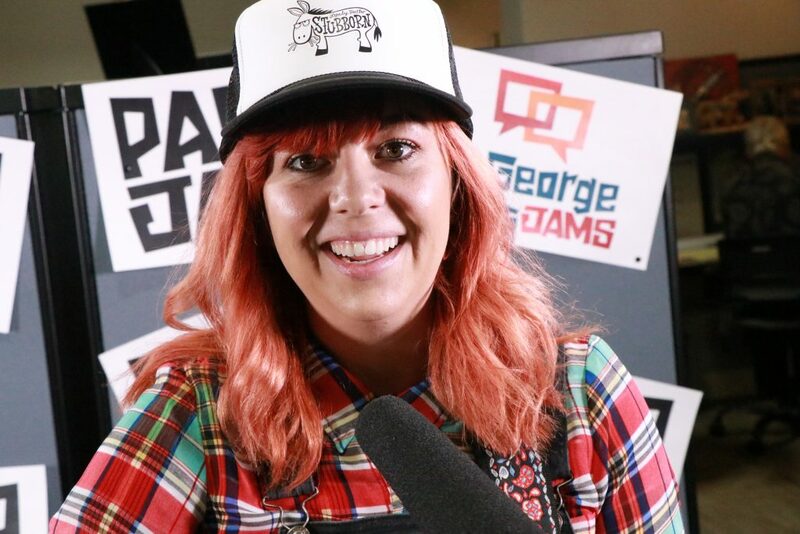 Butler’s half-hour “Paper Jams” session, a portion of which can be viewed in the player above, is the latest installment in St. George News occasional music series showcasing local musical talent. From the self-revelatory “In My Skin” to the invitation to take a nostalgic ride on a child’s red wagon in “Radio Flyer,” Butler’s infectious tunes bespeak her playful personality. A native of St. George who graduated from Snow Canyon High School and Dixie State University, Butler now lives in Hurricane with her schoolteacher husband and their four young children, ranging age from 11 to 2. Butler said her latest single, “Stubborn,” was inspired by an argument she had with one of her sons, who is now almost 9. He was little and it was the silliest little fight. I cleaned his room and he had like a million sticks, a million of them and I was like, we can only keep for like four or five of your favorite sticks and branches.… So then we cleaned the room and he got to keep a couple. And then we went to the park that afternoon and he found another amazing stick and for some reason I was so tired of it and I was like, no more sticks and he freaked out. It was, you know, the whole ‘pick your battles, you need to pick them’ and I shouldn’t have picked the silly stick battle, but I wouldn’t let him bring it home. Butler’s musical talents have taken her throughout the West, performing at folk music festivals and other events. She recently opened for EmmyLou Harris and traveled to Nashville in early October to work on a new project there. 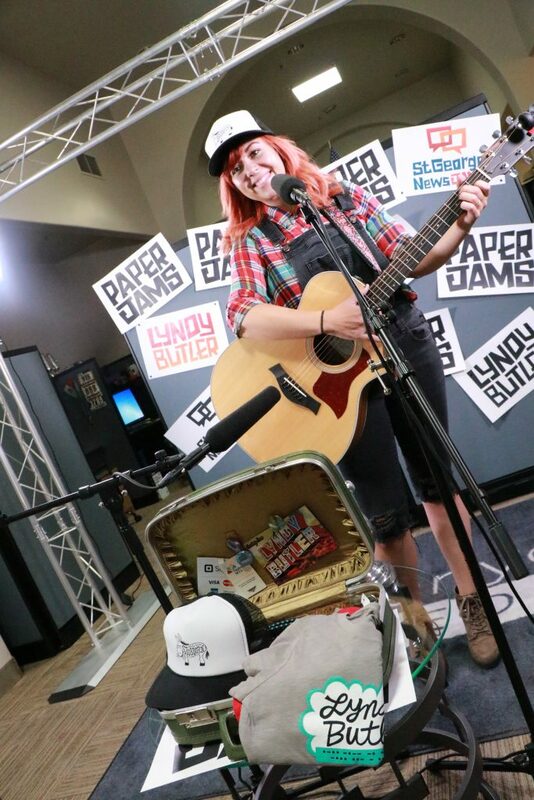 For more information about Butler and her music, visit lyndybutler.com, which has audio files, videos, and links to her related social media accounts. We don’t have to win to be a winner … just gotta be somebody’s friend. It’s not about how fast we get there … It’s about who’s waiting for us at the end. 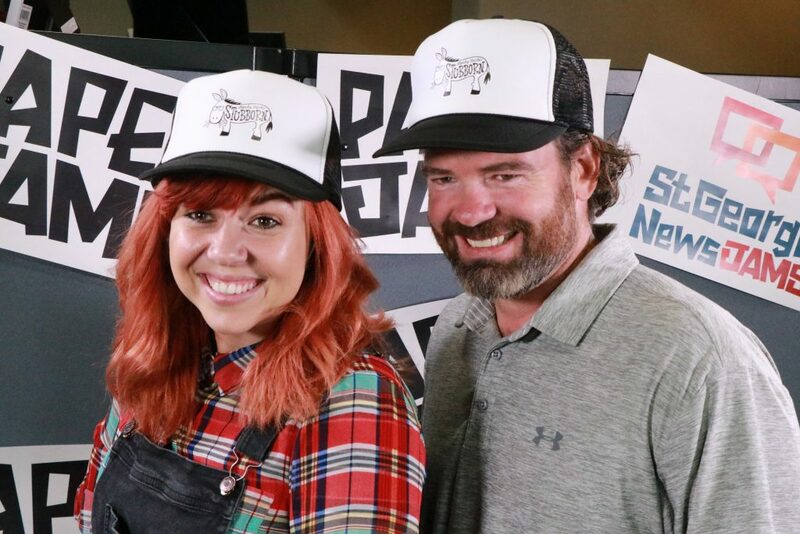 On Oct. 10, Butler launched a kickstarter project to help fund the release of her upcoming fourth album, titled “Buffalo Skater.” To preorder the album, either as a digital download or a CD, and otherwise support the fundraising campaign at various levels, click here.